Indawo has seen an increase in requests for refurbishment projects over the last 3 years says the company’s geoffrey Jäck. Indawo has seen an increase in requests for refurbishment projects over the last three years, according to the company’s Geoffrey Jäck. However, with the current economic pressures clients are opting for selective projects, doing what is urgent. 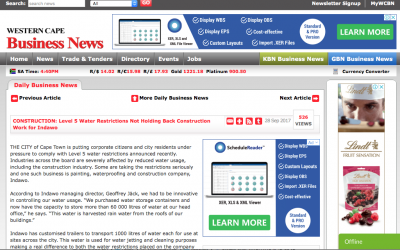 Despite contractors implementing reliable water harvesting, property owners are still reluctant to approve projects, he says. Indawo can be contacted on 021 941 5000 or email info@indawo.biz for all building refurbishment, roofing, painting or waterproofing projects. Look what we have achieved and done! Join us on a trip down memory lane! 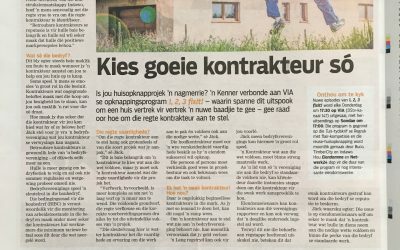 We have featured in many newspapers, magazines and online publications for our good work done in painting, waterproofing, construction, roofing, flooring, building refurbishment and asbestos removal and asbestos handling in Cape Town, Western Cape and Johanesburg and Pretoria in Gauteng and Tshwane. Winter is approaching; what does this mean for home and building owners? Indawo in the media again. Indawo is proud of its recognition by the media as a first choice contractor for building refurbishment. Winter is approaching and here we provide expert tips on how to deal with the winter rain. 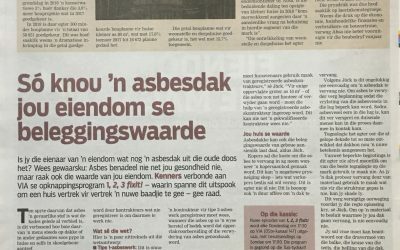 Krap jy kop oor huis se opknap? 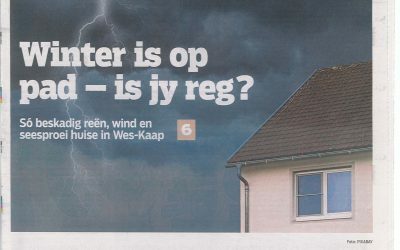 Asbesdak uit die oude doos?